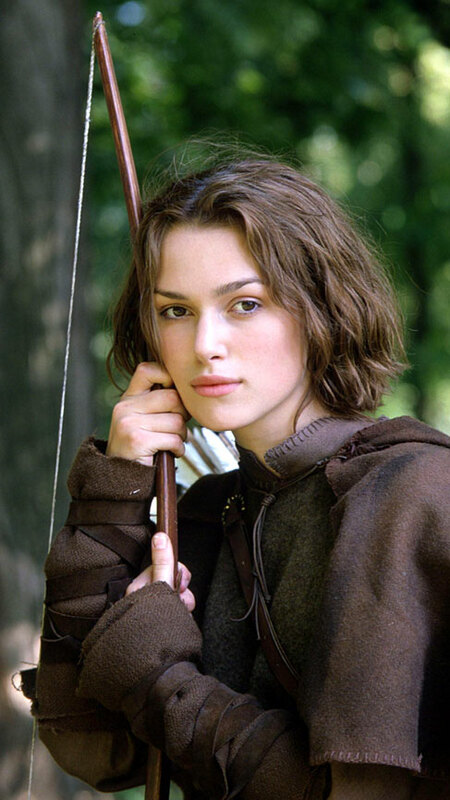 I love the premise of Robin Hood’s tenacious tomboy daughter taking on her captured father’s mission to protect a young French prince travelling through England incognito… but the actual plot and dialogue were so blah, I couldn’t help zoning out after the first half-hour. Added to that, the eponymous “princess”, ‘Gwyn’, reminded me so much of Arya Stark (especially after she cut her hair to pass as a boy) that I just started pining for the new season of Game of Thrones which is due to start in April*, and will no doubt be vastly superior to this bloodless bore. On the other hand, I thought Keira Knightley was fantastically feisty in the title role, and was already showing a great deal of spirit and star-potential in this early, pre-Beckham role. Stephen Moyer was also very watchable (if a little hammy) as her potential love-interest, ‘Prince Philip’… though it was weird hearing him talking with an English accent after all the years he spent pretending to be American on True Blood! * SPOILER: The GoT S5 promo photos I’ve seen so far suggest that Arya has started growing her hair out and wearing make-up! Jinkies! This entry was posted in Rants about Films and tagged Arya Stark, Game of Thrones, Keira Knightley, Princess of Thieves. Bookmark the permalink.